Join Us for a Guided Tour of the Rogue and Applegate Wine Country! All tours include tasting flights to represent each winery’s latest releases. Allow us to showcase the oldest wine producing region in all of Oregon. Our tour guides are all professional stewards of the industry, and cherish the opportunity to deliver the best of what our region has to offer. Heart-warming tours of Oregons’ most beautiful, unique and fastest growing viticultural region. 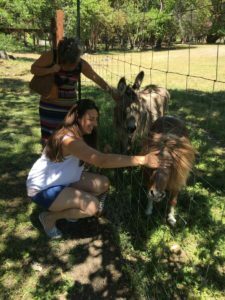 We don’t just sell wine tours, we deliver experiences, tailored to your particular tastes. Our tours have a conversational aire; we’ll determine what kind wines/places/atmospheres you like best, and use our excellent knowledge of the region to guide you to the absolute right fit. Southern Oregon’s latitude and prevailing oceanic winds create a 7 month Rhone-like growing season that distinguishes it from all other west coast (and American) growing regions. We often have hot dry days and cool nights with a wide range of thirty degrees in temperatures. This defines our diversity and provides us with award-wining quality wines! Just relax and let us do the driving! • Tasting flights at up to three wineries. • A multi course lunch at wineries specially selected for fine dining. 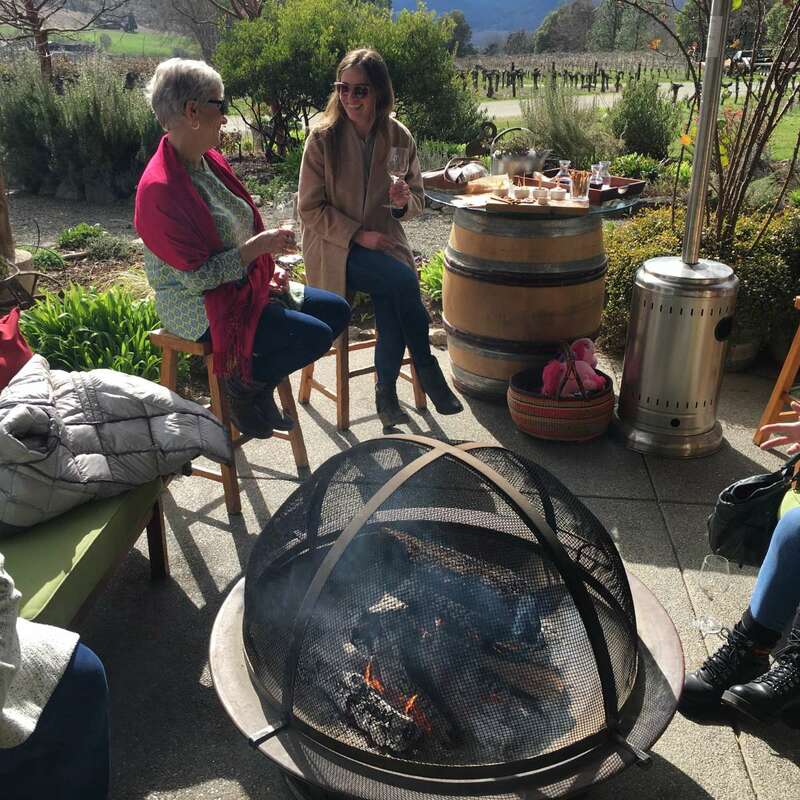 Dancin winery, with its wood-fired pizza oven, Wooldridge Creek’s on-site charcuterie and creamery, Red Lilly’s Spanish-style tapas are to die for. Their specialities are culinary selections, exquisitely paired with their wines. • And of course, pickup and drop-off at the location of your choosing in the greater Medford area. The Applegate Valley Appellation (approximately five hours) tour will showcase the areas most beautiful and fastest growing viticultural areas… including Valley View, perhaps Oregons oldest vineyard, biodynamic Cowhorn Vineyards, Red Lilly, Devitt, Longsword, John Michael Champagne Cellars, Augustino, Troon, Solera, Wooldridge, Schmidt Family, Rosella’s, Serra and more…and this tour usually visits the historic Gold Rush town of Jacksonville en route. Timed to get you Back for Oregon Shakespeare or Dinner Plans ! The S.Rogue Valley Tour usually takes about 4 hours; for the Upper Rogue Valley tour give it about 5 hours. The Applegate Valley Tour is at least 5 hours. Just add $40-45 per person to make your tour exclusive in your own Luxury Lincoln Town Car Limousine or one of our group Winery Party Buses. 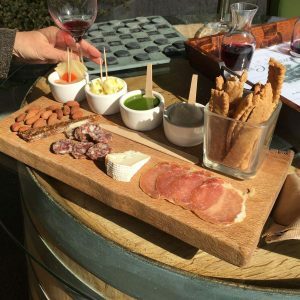 Central Point’s Artisan Corridor – a trifecta of the region’s most award-winning cheese, wine and chocolate – Ledger David tasting room, nestled between the world famous Rogue Creamery and Lillie Belle Farms gourmet chocolates. Great opportunities to sample the regions artisan cuisine. Dancin Winery. A cozy atmosphere with spectacular views. Dan and Cindy(Dan+Cin) maintain their 100% burgundy clones with the utmost care to produce absolutely top notch fruit and superb wines. All of their wines are fermented spontaneously using yeast cultures native to the vineyard. Dan believes that ‘Great wine starts in the vineyard’. 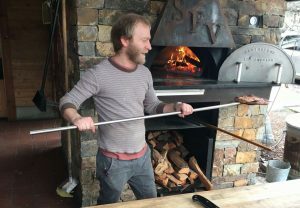 The food here is also phenomenal, prepared in a state of the art facility featuring Dan’s real wood fired pizza oven. * On Sundays, Dan invites guests on a personalized tour of his vineyard and wine making facility, a real insider treat! This is a unique opportunity to see how it all happens fun and educational! **If you are interested in taking this tour, let us know in advance so we can be sure to save you a spot. They fill up fast this time of year! Woolridge Creek Winery. Sip and dine luxuriously among the barrels in part of the actual production facility of the winey, you get to be close to the action! And with 80+ year old goblet trained cab vines close at hand you’ll know that you are tasting deep into history. With their on-site creamery and charcuterie, this is also an excellent spot to dine. You’re sure to find a pairing made in heaven! Paschal. Nestled in the pear orchards is a winery which surpasses all the rest in terms of the depth and richness of their wines. Rene the German wine-maker, is fastidious and attentive. 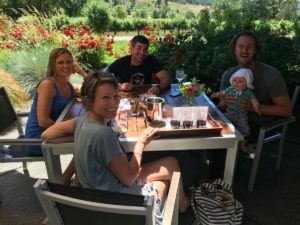 He often joins guests in the tasting room to regale them with the story of his wines. Roy Paschal, the founder of the winery can be seen out in the vineyard on any given day, driving the tractor, pruning, quality testing, even harvesting. I believe the owners involvement in the process from the ground up is a very good sign. Weisinger family vineyards. This is perhaps the oldest vines in the Rogue Valley with their Riesling planted in the mid ‘70s. Their specialities are Riesling and Gewürtstraminer and bright, lean representations of terroir, reminiscent of Alsatian style wines. Steeped in a family winemaking tradition, winemaker Eric Weisinger is probably one of the most acclaimed in the valley. Since he does not distribute his wines much farther than his own zip code, this is an especial treat for anyone visiting from out of town. Irvine and Robers. Did somebody say pinot noir? The altitude and the evening winds at the head of the valley make for hardy vines and exceptional fruit. Their winemaker worked along side the greats in Burgundy, and now brings his knowledge to Oregon to emulate them. The view from their tasting room veranda is unmatched. Red Lilly. Talk about atmosphere. This place has it all! A sumptuous, vaulted tasting room, opening up to an expansive lawn that leads right down to the Applegate River. You can literally soak your feet while you sip! Tempranillo is the name of the game here, with lots of variations and styles arrayed in a single flight. Belle Fiore. Here wine and architecture are one and the same. Built in the classical Italian style with its vaulted ceilings and garnish veranda, Belle Fiore boasts one of the regions most palatial tasting rooms. This enhances rather than distracts from their great wines. Winemaker Heather Nenow is among the best with her 20 years of experience, she knows how to best showcase what the terroir has to offer! These are just a few among a huge selection (100+ and growing!) wineries within the Rogue AVA to choose from. These can range from the rustic, ‘down on the farm’ Devitt winery, specializing in long barrel aging, to Valley View, perhaps Oregons oldest winery, to the fabulous and ever popular Troon with their wonderful Italian varietals(including their newly released Friulian-style orange riesling!). Or even the appointment-only Cowhorn, the AVAs only Biodynamic wines project. With over 90 wineries to choose from we will be sure to find the right place for you. It’s your day, we just want to make sure you come away with an enriching experience you’ll never forget. Our tours have a conversational aire, so no itinerary is set in stone. Just let us know how we can best serve your individual needs. The main thing for us is to deliver a great tour the far exceeds your expectations! Pricing is flexible depending on where we go and whats included, but starts at $119. Larger groups (8 or more) can be accommodated at a special rate.